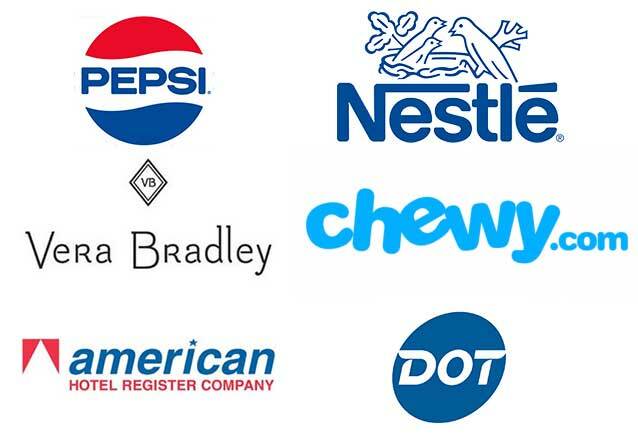 REB is proud to provide rack repair and safety inspections to over 50 industries. Having your racking system regularly inspected to identify and repair safety concerns is important. It can help avoid a rack collapse, damage to property, and on the extreme end, employee injury. 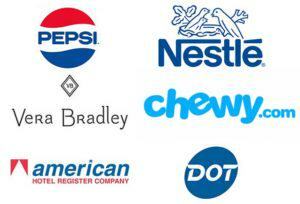 REB Storage Systems International has a dedicated rack safety and repair team. 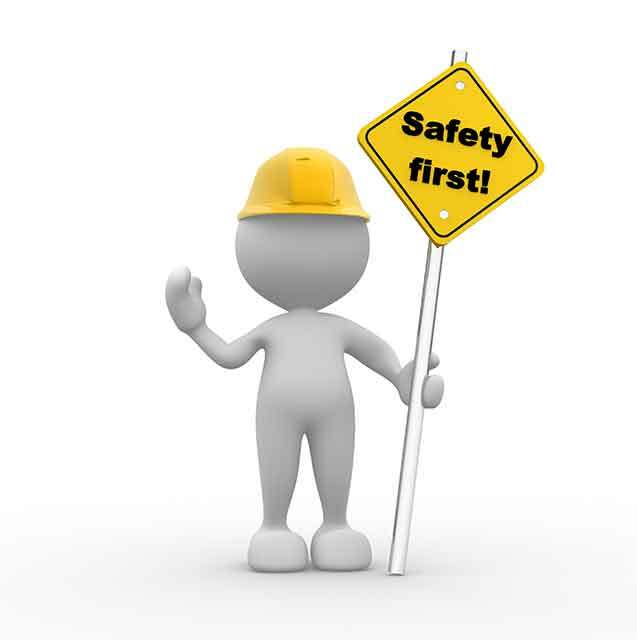 Our knowledge of rack safety best practices and ANSI/RMI rack safety standards allow us to analyze a rack system, locate all possible risks and make suggestions to help you increase employee safety and asset protection. 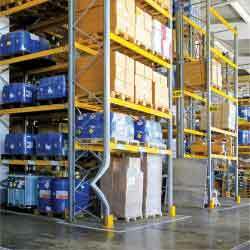 If you are concerned about the safety of your racking system, the sooner you address it the better. To speak to Mike McCue, REB's Rack Safety and Repair Account Executive, directly, dial 773-366-8002. 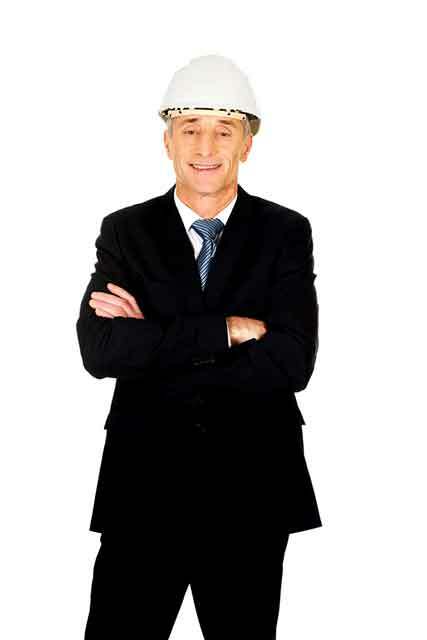 Alternatively, you can fill in the contact form on this page and Mike will contact you. See below for more information on REB's rack safety assessments. To view further details on how the rack repair process works, visit our rack repair page. "REB's superior rack remediation project management process is evidence they've built the model for the rack repair services business that works." The first step in the safety assessment process is one of our rack safety experts will conduct a full walk through of your facility. Next, you'll be provided with a scope drawing or report that identifies the location of all damage, what type of damage it is, and how critical it is. After reviewing your damage summary, you can then decide if you'd like to move forward with any or all of the repairs. Repair and Replacement of Damaged Components: These shall be replaced by qualified persons following recommended and documented procedures. Repair components must be at least as strong as undamaged components. Owner Maintenance: The owner shall maintain the structural integrity of the installed rack system assuring proper operational and maintenance procedures. Regularly inspect for damage and immediately unload the affected area and replace or repair the damaged column(s), beam(s), and other structural components. Additions, Alterations and Reconfiguration: All additions, alterations and reconfiguration should meet the same requirements as the original installation. Rack Damage: Upon any visible damage, the pertinent portions of the rack should be unloaded immediately by the user until the damaged portion is repaired or replaced. If you'd like to schedule a rack safety assessment or learn more about them, fill in the contact form on this page. To contact Mike McCue, REB's Rack Safety and Repair Account Executive, directly, dial 773-366-8002 or email mmccue@rebstorage.com. REB’s professional safety inspections focus on two main areas: damage concerns and protection recommendations. Specifically, the degree and type of damage is identified in order to determine whether repair or replacement is needed. Upon inspection completion you’ll be provided with repair and ongoing protection recommendations. At your request, you’ll receive a proposal and a corresponding scope drawing for these services. Column Damage: Rips, tears or deflection beyond acceptable limits. This deflection is greater than ½” or damage that no longer can carry the original rated load. Horizontal & Diagonal Strut Damage: Broken welds, missing braces, or braces with rips, tears or deflection beyond acceptable limits. Deflection greater than ½” bent either horizontally or diagonally. Footplate Damage: Sheared or twisted past ½”. Resides in earthquake region that require seismic risk modified footplates. Overloaded Beams or Frames: Using the RMI description, review the manufacturer’s frame capacity charts. Remember that rated loads refer to an evenly distributed load along the length of the rated member. Anchor Damage: Missing, broken or loose anchors are problematic because each upright footplate, both the front and back, must be anchored to the floor. 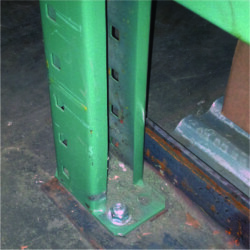 Missing or Damaged Components: Often, various accessories are missing or damaged, but were originally installed to protect the rack structure or enhance safety. Typically includes: wall ties, crossbars, cross-aisle ties, wire mesh decks or pallet stops. 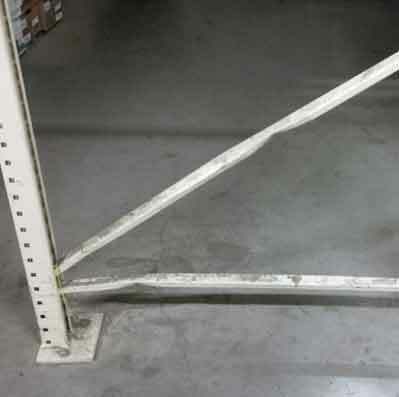 Leaning Frames: When loaded, the minimum plumbness and straightness (both cross and down aisle) of the frame should be less than ½” per 10’ of height. Beam Damage: Missing or damaged beams, loose, damaged or missing fasteners. 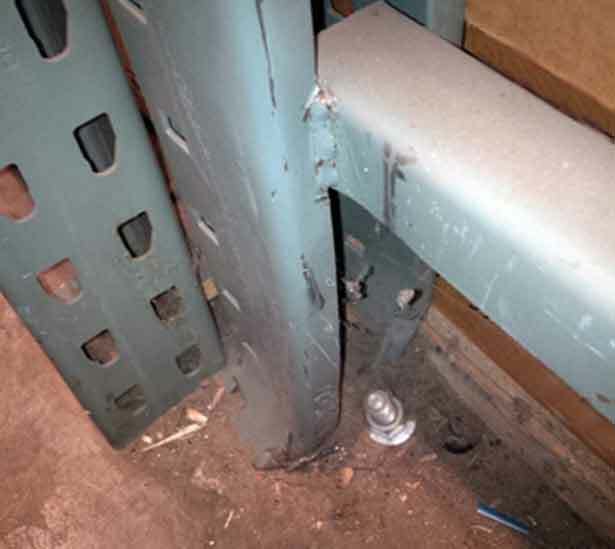 Deficiencies in load locks and snap locks are common and will fail to hold beam end plates in place. Load beams secured to withstand 1,000 lbs. of uplift force. Damaged Decking: Decking with exposed jagged edges, dips, or missing pieces can cause serious harm to employees or materials and should be replaced immediately. If you have any indication that your racking is impaired, it’s time for a professional inspection. Fill in the contact form or call REB Storage Systems International at 800-252-5955 to schedule an appointment with one of our safety and repair specialists who can perform an inspection of your warehouse. You’ll be provided with repair and ongoing protection recommendations. At your request, you’ll receive a proposal and a corresponding scope drawing for these services.